In this paper Majella Munro proposes that Zen can be applied as a transnational intellectual framework for the analysis of post-war art. This is tested on the work of the Swiss-born Brazilian artist Mira Schendel, a sensitive and conscientious recipient of Zen influence, in order to clarify her relationship to Zen concepts and practices, and to describe Zen’s contribution to the cultural diversity of Brazil. From a Western point of view these ‘sculptures’ (this word without sense!) could be seen from the perspective of a phenomenology of being. From the Eastern point of view, well, they relate to Zen. 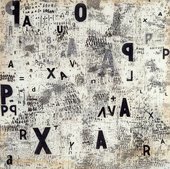 In the work of Mira Schendel the monumental and the mundane coalesce. The large-scale typographical experiments of her spatially ambitious Graphic Objects (Objetos gráficos) installation at the 1968 Venice Biennale, and her small-scale, hand-wrought Little Nothings (Droguinhas) represent the two extremes of her work. Indeed, the contrast between the artificial, mass-produced elements of the overwhelming Graphic Objects installation and the domestic, unassuming nature of the net-like forms rendered from discarded rice paper could not be more pronounced. Yet both reveal a compulsion for repetitive mark making, for activity, for a privileging of the creative process over a final aesthetic form – artistic concerns which it shall be argued originated from Schendel’s engagement with Asian materials and culture. While Schendel’s receptivity to Zen has been remarked upon in the growing corpus of writing on her work, a precise account of how she came to encounter Zen and how it impacted on her work have proved difficult to establish. This paper negotiates differences between historically determined Zen, our present understanding of Zen, and the reception of Zen at the time when Schendel was active, incorporating analyses of multiple philosophical and social contexts. While discussion of her connection to Zen has so far considered only the concerns of contemporary philosophers who mediated its influence, including Vilém Flusser and Ludwig Wittgenstein, here the contributions of the Japanese diaspora and its cultural manifestations are reinstated as critical to Schendel’s absorption of Zen. Following an account of her contact with Zen and Asian art through a variety of conduits, this paper culminates in a re-reading of some of her most significant works through tropes that emerged from her encounter with Zen. Attending to Zen references in Schendel’s work renders some of the more opaque contents of her output legible, particularly in terms of her use of materials and techniques. The encounter with Zen was formative for Schendel, facilitating a shift from the tentative experiments with abstract still life painting of the early 1950s – which art historian Sônia Salzstein has described as showing the lingering ‘legacy of tradition’ – to her more intellectually and formally challenging work with sculpture, installation and monotyping.2 These mature works approached the metaphysical by testing the limits of the inherent properties of materials. Such was the impact of Zen that her friend, the influential Brazilian art critic Theon Spanudis, described her as one of the foremost exponents of Zen in Brazilian art.3 In 1964 he observed that her art had ‘undergone considerable changes’ and that it was now possible to ‘see more clearly the depth and the meaning of its progress’, a development he attributed to her burgeoning interest in the ‘Far East’.4 Artist and journalist Jorge Guinle went further by claiming that it was necessary to be familiar with Japanese culture in order to ‘apprehend’ her ‘message’,5 while Cyril Barrett, whom Schendel met during her 1966 visit to England, described her work as having the delicacy of ‘Oriental lines’ and ‘Oriental thoughts’.6 To her contemporaries, Schendel’s debt to Zen was self-evident. Retrospective commentary continues to draw this connection but with only superficial regard for her engagement with Asian cultural forms. Following the poet and critic Haroldo de Campos, who described Schendel’s work on the occasion of her 1966 solo show at the Museu de Arte Moderna, Rio de Janeiro as an art of the ‘void’, a great deal of writing on Schendel has cited ‘stimulation’ or ‘activation’ of ‘the void’ as emblematic of her engagement with Zen.7 This preoccupation with the void stemmed directly from Schendel herself: it first appeared in her work in c.1964 in the monotype The Void of the World (Nel vuoto del mondo), and Schendel described its centrality to several of her correspondents, stating that ‘what matters in my work is the void, actively the void’.8 It is possible to read in this a reductive attitude to Zen, which alongside use of the terms ‘Oriental’ and references to ‘the East’, is problematic. Scholar of Zen art Gregory Levine has cautioned that ‘[f]or some, Zen Art may be a visual expression of engaged Buddhism … or a shorthand for distant “Japan” or “Asia”’, a conceptualisation that has certainly been at play in studies of Schendel’s work.9 These difficulties primarily originate from Schendel herself, who frequently made vague generalisations about the role of ‘the East’ in her work.10 It is therefore critical to reconstruct her understanding of Zen, and to assess the extent of her appropriation and engagement, which has not been analysed in the literature on the artist thus far. The difficulties are also historiographic. It may be unreasonable to expect scholars of Brazilian art to demonstrate in-depth knowledge of the Asian precedents on which Schendel drew (and vice versa), placing her Asia-derived production in a double bind. The critic Guy Brett, whose contribution to Schendel’s professional development will be remarked upon throughout this paper, has suggested that Zen can be used to discursively link art from different parts of the world while transcending any particular bias towards North American or Eurocentric models, suggesting a pathway out of the dilemma.11 This paper attempts to test the utility of such a model by applying it to Schendel’s work, not only to clarify important aspects of her artistic practice, but also to address particular structures and biases inherent to discourse on art produced outside Europe and North America, which is more multivalent and innovative than current art historical paradigms can accommodate. While the art histories of individual nations in Asia and Latin America (particularly China, Japan and Brazil) are garnering more interest, the confinement of revisionist art histories to discrete, region-specific fields has inhibited the emergence of unifying theories and methodologies that can be used to systematically deconstruct dominant conventions. Instead, bias in art history has been exacerbated, rather than alleviated, by recent attention to contemporary production from Asian and Latin American countries. Discourse on the ‘global contemporary’ privileges those artists and works that can most easily be assimilated by a terminology that denies both geographical and temporal specificity. An analysis of possible links between these regions, without the mediation of Europe or North America, could thus form a powerful corrective. Forging this corrective, however, is a task of methodological and terminological complexity. The limitations of the terms ‘Western’ and ‘non-Western’, for example, are exposed in discussing relations between Latin America and Asia, since the designation of Japan or Brazil as either ‘Western’ or ‘non-Western’ is contested. The 2008 exhibition The Japanese Presence in Brazilian Art: From the Figure to Abstraction held in São Paulo described the Brazilian encounter with Japanese culture as a meeting between ‘East’ and ‘West’, with Brazil here representing the Western world on account of its geographical and cultural position. Conversely, the scholar Cristina Rocha has argued that Japan has been perceived as ‘Western’ by some Brazilians on account of its developmental superiority.12 Meanwhile, art historian Gerardo Mosquera has proposed that Latin America does not belong in either configuration.13 Given the mix of diverse communities in Brazil it is not appropriate, as Bélgica Rodríguez has explained, to describe it as culturally monolithic, or to juxtapose putatively indigenous elements against foreign influence.14 The development of Brazilian culture has instead been a process of on-going creolisation, providing fertile ground for the expression of transnational influences. Brazilian cultural histories, therefore, offer particular insights into both the advantages of forging a transnational discursive framework, and the obstacles to be negotiated in the process. A significant obstacle is the relative disparity of scholarship on Latin American and Asian art. While Asia remains at a geographic and linguistic remove from Europe and North America, the colonial experience that shaped much of Latin America, including Brazil, has rendered its cultural referents relatively more accessible. Geraldo de Souza Dias has noted that Schendel’s work draws a ‘transversal line’ between European and Latin American art histories, and the potential benefits of this pathway to understanding cannot be overemphasised.15 Scholars including Toshio Watanabe and Bert Winther-Tamaki have been optimistic about the possibility of linking Asian and Latin American art histories. For Watanabe, the inclusion of Latin American countries avoids an East-West binary dominating discussions of international art.16 Reconsidering the impact of Asian culture on Brazil also circumnavigates a discourse, informed by postcolonial critique, which continues to position Brazil in relation to European and North American cultures. A further difficulty lies in clarifying what is meant by ‘Zen’ in relation to post-war culture. Levine repeated Ruth Fuller Sasaki’s caution against overstating the case for Zen influence: ‘Zen has always been credited with influencing various forms of Far Eastern art and culture … But now the discovery has been made that it was existing all along in English literature, ultra-modern painting, music, dance and poetry.’17 This understanding of Zen as an ahistorical counter-culture could be attributed to misprision on the part of foreign observers, but this would deny Japanese cultural agency. In fact, transnational ‘modern Zen’ is a function of the conscious modernisation of Buddhism undertaken in the later nineteenth and early twentieth centuries by a coterie of Hegelian philosophers, who have come to be known as the Kyoto school. Daisetz Teitaro Suzuki, who was from a samurai family who practised Buddhism, was heavily influenced by their efforts. With the 1858 restoration of the Imperial monarchy (which depended on an indigenous religion, Shintō, for legitimation) both Zen and the samurai system of military rule were politically and culturally marginalised in Japan. These circumstances motivated Suzuki’s study of philosophy and attempt to reconfigure Zen as an episteme of individual spirituality, divorced from the institutional and political contexts that had led to its decline. Suzuki sought to internationalise Zen, and was a diligent attendee of the Parliament of the World’s Religions, a series of interfaith conferences held from 1893 onwards, where he promoted Zen as a syncretic spiritual system transcending and superior to all other world religions. Suzuki aspired to assimilate Zen to modern and Western epistemological systems by arguing that it was adaptable to ‘almost any philosophy and moral doctrine’.18 He authored a number of books in English, including Zen and Japanese Culture (1938), in which he outlined the formal manifestations of Zen within the Japanese visual and performing arts. It was on this highly influential model of Zen, purposefully configured for international consumption, that Schendel and her intellectual circle depended. When the tropes of Zenga are utilised by artists – especially artists from outside Asia – issues not only of cultural appropriation, but also of spiritual authenticity, are acute. Some artists have used Zen iconographies in a manner antithetical to Zen practice, most notably the surrealist painter and Gutai leader Jirō Yoshihara, whose post-war ensō (a calligraphic circular form that has come to be synonymous with Zen art) were executed laboriously in multiple layers of oil paint, subverting the dynamism and focus on committed physical gesture on which Zenga, as active meditation, depended.20 There is a lack of consensus as to whether it is knowledge of Zen, or facility in painting, that is paramount in Zenga practice.21 The difficulty with defining what Zen art may be is exacerbated by its long and evolutionary history, and by the fact that contributions to its development have been made by practitioners from a diversity of backgrounds. For writer Yasuichi Awakawa, in order to produce Zenga a priest must be versed in painting, and the painter versed in Zen, although practitioners could hold either as their primary discipline: ‘A man who can paint Zenga need not be a Zen monk. If the painter is steeped in Zen, then his work will automatically have a Zen flavour’.22 In both cases, it is the insight gained through the process of painting, rather than the finished painting itself, that Awakawa privileges.23 He further explained that knowing details of the painter’s schooling in Zen is necessary to appreciate their Zenga, implying that the value of a work ought not to be determined by aesthetic considerations alone; rather, biography and intellectual provenance are integral to understanding a painting’s significance.24 Unlike Yoshihara, Schendel worked without ancestral or geographical connections to Asia, suggesting an even greater need to attend to her artistic intentions. Schendel’s facility in a range of media echoed the diversity of intellectual and cultural sources on which she drew. Her idiosyncratic cultural identity and biography makes her a representative case study of the impact of displacement and migration on the post-war art world. Born to an Italian mother of Jewish descent in Switzerland, she moved to Catholic Italy in her infancy, later receiving a heavily Germanophone education in philosophy, which was curtailed in 1938 when her part-Jewish ancestry led to her expulsion from university, precipitating an exile that would lead her to settle in Brazil in 1949. Over her forty-year career Schendel combined interests in applied practices, such as typography and textile work, with esoteric interests in theology and philosophy. She was active in both Europe and Latin America, and was a prolific contributor to international exhibitions and biennales. Schendel was, in both personal and professional terms, a transnational artist working at a time when the art world was becoming increasingly international, laying foundations for the global structures of contemporary art production. Schendel’s career thus provides a series of exempla through which to examine links between Asian, European and Latin American artistic cultures during a time of increased exchange, fostered not only by flows of information, but also of people. Schendel seems to have had little documented dialogue with Asian artists, with the exception of Li Yuan Chia, whom she met in 1965. Having received an invitation to hold a solo show at the Signals Gallery, London, Schendel travelled to Britain and met Li, who had also exhibited there. Both were shown in Soundings Two at Signals between July and September of 1965.36 Although she did not submit works to the 1957 São Paulo Biennale, it is possible that Schendel may have encountered Li’s work there in his presentation with the Taiwanese Ton Fan group, his first showing in Brazil. Li also exhibited the work Composition 1931 at the 1959 Biennale. The Ton Fan were internationally minded abstractionists; for members, including Li, the interest of Western artists in Chan and Zen would provide a point of departure for dialogue with their international counterparts.37 In Schendel Li found an eager interlocutor. They appear not to have had opportunity to meet again after her visit to London, but they nonetheless maintained ongoing correspondence.38 Li was Chinese born but later lived in Taiwan, which had been part of the Japanese Empire since 1895. When he arrived as a war orphan in 1949 Taiwan was still under Japanese sovereignty and retained a strongly Japanophile cultural orientation. Li was thus exposed to a pluralised culture and shared Schendel’s experience of exile; indeed, as Luis Camnitzer and Gerardo Mosquera have argued, it was the common experience of exile that facilitated the empathetic melding of cultures in post-war Brazil. Li exposed Schendel to the forms of Chan-inspired Chinese art, expanding on her previous encounter with Chinese landscape painting, an influence which would recur in her Chinese Landscapes (Paisagems Chinesas) of the 1980s.39 Her exposure to both Japanese and Chinese Buddhist art is a further reminder that her reception of Zen was divorced from a connection to any single national culture; it was, a priori, transnational. Brett, who worked closely with both Li and Schendel at Signals, has been careful to note that Li’s interest in this patrimony was not an uncritical celebration of Chinese tradition, as Li became interested in Chan when seeking an alternative to the official Confucianist ideology of Taiwan. Rather, he ‘considered himself a modern person seeking a modern expression of space and time. His outlook was certainly supra-national: among the multivalent implications of [his work] was, in his words, “the world – free and independent”’.40 In addition to arguing for the Chan and cosmic allusions in Li’s work, Brett implied that Chan can be divorced from its Chinese context, thereby bringing Li’s work within the taxonomy of transnational Zen. Schendel would go on to produce her own series based on the hexagrams of the I Ching, developed from her studies of Western philosophy and psychology. The psychoanalyst Carl Jung’s preface to Richard Wilhelm’s 1949 translation of the I Ching brought the text to the attention of his followers, and it seems to have been Jung’s influence that fostered Schendel’s turn to the subject in the early 1970s.44 As one of the oldest texts, not only within Chinese or East Asian culture but in the world, the I Ching exerted enormous influence over the course of its long history before coming to international prominence in the latter half of the twentieth century. According to the precepts of this geomantic treatise, the future can be divined through casting small quotidian objects, such as twigs, coins or stones, and reading the resulting pattern of lines in accordance with types delineated by the text. Schendel’s first series on this theme, I Ching 1970 (fig.1), adopts a different scale, media and palette to her work of the previous decade. Rendered in navy and brown watercolour on paper, at a scale that is almost domestic, the paintings are considerably less ambitious than her works of the 1960s, or her gold leaf compositions of the next decade, recalling instead her earliest experiments with abstract painting. The I Ching paintings have an unassuming appearance appropriate to the subject matter: as any objects at hand can be used for divination, there is a coalesence of the metaphysical and the mundane within the casting technique, which Schendel reflected in her use of understated materials. It is possible that the composition of each work in the series was determined by a hexagram cast by Schendel.45 Since the I Ching represents an attempt to formulate a handbook for negotiating a world in flux (its title is commonly translated as ‘Book of Changes’) the emphasis is on mutability. Schendel intimated this dynamism by leaving the works unfinished and by showing the works in series, compounding a sense of change and progression. Schendel also fashioned from this same material her series of Little Nothings, nets of twisted and knotted rice paper that exploit its tensile strength. The Little Nothings are complex arrangements of looped material, resulting in amaphorous flowing sculptures as much determined by form as by space. The repeated, interlocking circular forms give the impression of a compulsive execution: it is difficult to fathom how Schendel arrived at these forms, whether she had a sense of the extent or shape of the Little Nothings before she started working, or what the starting loop for any individual work in the series may have been. The automatic elements of the Little Nothings again bear a relationship to Zen, in this case specifically to the form of the ensō. In Zen painting this circular form is executed in a single, continuous gesture, within pre-determined formal constraints, bypassing the need to make conscious aesthetic decisions and thus foregrounding the more expressive, automatic aspects of the process. Suzuki had advocated a Zen aesthetics that depended on ‘the observing subject throw[ing] his whole being into the bearer of the meaning’, a bodily and gestural engagement on the part of both author and viewer.49 Schendel’s Little Nothings similarly emphasise the movement of the hand, becoming artefacts of gesture performed without conscious determination. The same kind of compulsive repetition, and the impossibility of tracing the originating mark, can also be detected in her Graphic Objects, comprised of layered typographical patterns on acrylic (fig.2). Despite their superficial differences, the methodological continuities between the Monotypes, Little Nothings and Graphic Objects highlight the importance of spontaneity in her work of this period. Process and gesture are paramount, while form and legibility become marginal concerns, which again reveal the influence of Zenga. Schenberg’s position as both a physicist and a Marxist was compatible with Suzuki’s rationalised, irreligious Zen. The curator Isobel Whitelegg has noted that Schenberg’s interest in ‘non-western ontologies’ could easily be reconciled with non-Newtonian physics, a reconciliation that depends on ‘modern Zen’ standing for the totality of ‘Oriental thought’ as Schendel’s contemporaries understood it.52 Texts about Buddhism circulated among São Paulo’s progressive intellectuals, but also among artistic and intellectual cultures in North America during the 1950s and 1960s. Nelson Coelho, New York correspondent for the Jornal do Brasil, published weekly articles on Zen based on his exposure to what philosopher Alan Watts has called ‘Beat-Zen’ from 1956–8.53 Writing for an established national daily newspaper, Coelho would have been one of Zen’s highest profile disseminators in Brazil. In 1955, simultaneous with greater efforts to assimilate the Japanese diaspora, scholar Murillo Nunes de Azavedo established the Buddhist Society of Brazil and embarked upon publishing a twenty-volume series on Asian philosophy. Suzuki’s seminal Introduction to Zen Buddhism (1934) was first translated into Portuguese in 1961.54 And by 1967 there was sufficient interest for Ricardo Ronçalves to produce Buddhist and Zen Buddhist Texts, which would become the standard text in Brazilian Buddhist studies. Initially there was no overlap between what Rocha has termed the orientalising interest of these intellectuals in Zen, and Zen as practised in Brazil by Japanese immigrants (who were mostly agricultural labourers) as there were limited opportunities for these groups to meet.55 Engagement was further curtailed by the ethnic exclusivity of Japanese cultural associations until the mid-1950s. Despite the size of the diaspora, it remained too small to accommodate missionaries from each of the various schools of Zen, thereby eliding sectarianism. Busshin-ji benefited from the patronage of non-Japanese Brazilian intellectuals, and their concerns and disciplinary backgrounds had a role in refashioning Zen; it was the first temple to offer zazen in order to meet the demand of non-Japanese practitioners who, under Suzuki’s influence, perceived Zen as synonymous with this form of meditation.56 Busshin-ji was the only place in Brazil where it was possible to experience zazen meditation, which was convened there from 1961 onwards, in the company of Japanese adherents.57 It is likely that this is where Schendel sat after turning to zazen for solace after the death of her mother in 1979.58 There has been a great deal of concern among Schendel scholars to establish if, when and where she may have sat, but this in itself reflects the concerns of Suzuki’s articulation of Zen: attempting to ascertain her attendance as an indication of authenticity is redundant given that zazen itself originated from Suzuki. Suzuki had one proposition on art and calligraphy, which may be particularly significant in illuminating the impact of Zen on Schendel’s work: his explanation that in Zen art ‘experience and expression are one’ can be related to her pursuit of immanence, particularly the immanence of language.59 In 1966 Haroldo de Campos, a poet of the concretista school, described Schendel’s work as ‘a semiotic art of icons, indexes, symbols’.60 His own interest in East Asian forms was influenced by Ezra Pound’s dissemination of Ernest Fenellosa’s ideas on the status of the ideogram in East Asian language.61 Fenellosa was one of the first foreigners to settle in Japan in the nineteenth century, and became a foundational authority on Japanese art. Pound, who was unable to read Japanese, attempted to apply Fennellosa’s misapprehension of the ideogram as a legible pictorial symbol to his dialogue with the poet Kitazono Katsue on the subject of concrete and visual poetry.62 Schendel worked at a time when language was a dominant intellectual interest across many fields, revealing a concern to restate the specificity of the human against a mechanised world-view.63 As curator Glenn D. Lowry has observed, Schendel ‘addressed language as if there was no difference between signs, codes, words … [she] produced art objects that made language visible’.64 Luis Pérez-Oramas has gone further, noting that this language is ‘a material presence’, comprised of ‘signs and traces, brushstrokes and gestures’, not ‘a vehicle of concepts or ideas’.65 This invocation of language and the simultaneous denial of verbal content recalls the Zen subversion of meaning; indeed, Pérez-Oramas likened her use of language to Roland Barthes’s protest against ‘the “segregative law” that in the West separates the poet from the novelist, the graphic artist from the painter’, revealing the ambiguity between word and image that Barthes, like Pound and Fenellosa before him, found in East Asian scripts.66 For Barthes, the ‘Orient’ did not propose ‘other symbols, another metaphysics, another wisdom’ but rather the ‘possibility of a difference, of a mutation, of a revolution in the propriety of symbolic systems’.67 Schendel had abandoned an earlier attempt to be a poet, remarking ‘unfortunately, speech is not my means of expression’.68 Yet she retained writing, reconfigured in her art as a non-semantic physical gesture. Having said this, Schendel’s synthesis of image and word has been overdetermined: it may originate from her engagement with the phenomenological philosophy of Flusser, from Jewish prohibitions against image making; or from Zen, revealing the richness of references on which her art was drawn.69 But Flusser himself adhered to the Kyoto school’s proposition that Zen enlightenment can be found through ritualised bodily action and approached within quotidian experience, notions which find form in Schendel’s graphism.70 That she was recorded as sometimes drawing directly with her fingernails makes her inscription an unmediated act; as Suzuki described, ‘What differentiates Zen from the arts is this: while the artists have to resort to the canvas and brush or mechanical instruments or some other mediums [sic] to express themselves, Zen has no need of things external, except “the body” in which the Zen-man is so to speak embodied’.71 Thus in her series incorporating graphic gestures, particularly in the Monotypes, a discourse is presented at its moment of origin, with ‘experience and expression’ as ‘one’. Schendel’s reception of Asian religions was pluralised, encompassing Chinese, Japanese and Tibetan spiritual motifs. The mystic Thomas Merton wrote of Suzuki that ‘he had a rather remarkable capacity to transpose zen into the authentic totalities of western mystical traditions that were most akin to it’; his ‘modern Zen’ was primed for synthesis not only with philosophy and science, but also with other world religions.72 Suzuki also described Zen as synthesising other Asian cultures, writing ‘in Zen we find Chinese pragmatism solidly welded with Indian metaphysics and its high-soaring speculations’.73 In this respect Suzuki and Schendel had similar intellectual projects, in that both sought to distil various religions into their greatest humanistic utility, a possible coincidence of each having been dislocated from their ancestral religion in childhood. By the late 1960s interest in Buddhism had expanded to include scholarship on Theravada, the oldest form of Buddhism, which is widespread in South and South East Asia, and the Buddhist Society of Brazil began to pursue links with institutions in Thailand. Schendel was further exposed to Zen and other Buddhist forms during her 1966 trip to England, not only through her meetings with Li detailed above, but also through her contact with the poet and theologian Sylvester Houédard, who had studied Zen-derived poetic forms. His most notable work, Frog-Pond-Plop, was based on a haiku by the seventeenth-century poet Basho Matsuō, and, incidentally, is the same haiku cited by Barthes in his description of Zen’s transcendence of verbal language.74 This haiku also appears several times in Suzuki’s texts, which is most likely where these later writers encountered it.75 Houédard’s interest in Buddhism, however, seems to have lain more with Tibetan forms, and this, alongside greater syncretism within Buddhist studies in Brazil, may have informed Schendel’s 1975 production of a series of circular abstractions based on the mandala, a devotional geometrical image associated with Himalayan Buddhist meditation. This new interest reflected changes regarding the reception of Buddhism by Western intellectuals: by the 1970s concern for Tibet and the international ministry of the Dalai Lama had brought the form of the mandala to popular attention. The incorporation of Tibetan forms in her work demonstrates that Schendel was informed primarily by contemporary intellectual and political discourse on Buddhism, and that her interest in Asia was not monolithic but pluralised, allowing her to incorporate material from a variety of cultures into her art. The cultural diversity of Schendel’s personal identity and intellectual interests, and of the Brazilian context as a whole, is most explicitly revealed by her series Homage to God, Father of the West 1975 (fig.3). These sixteen works on paper, combining geometric forms and Judeo-Christian texts, form her most complex and overtly religious work. It is also one of her most gestural and dynamic series on account of her adoption of an unusual medium: beneath the typographical elements lie coloured circles and orthogonals, executed rapidly in spray paint, marking it as her closest attempt at the spontaneity of the ensō within her graphic oeuvre. The irregularly formed circles, clearly the product of a subjective artistic personality, contrast with the regularity of the printed verses taken from the Old Testament. The series opens with quotations from Genesis and the Psalms describing God as violent and vengeful. The texts reveal that her painted forms are not wholly abstract, but approach figuration: the circles represent the void of heaven and earth (the combination of textual and graphic forms here linking the void in Genesis to the void in Zen); the red spills signify the blood of the impious described in the sections quoted from the Psalms; while the jarring black lines signify arrows, instruments of God’s justice. The last scenes from the series, however, incorporate more peaceful quotations on the value of acceptance, justice, and love. That the verses appear in a variety of European languages (English, German and Italian), while the painted forms are rendered in red, black and gold against an unpainted ground (recalling the restricted palette of Li’s Chan-inspired cosmological Points), conveys Schendel’s intention to achieve a synthesis of Eastern and Western worldviews in this work. Although the use of verbal elements is consistent with Zenga, there are also cultural and stylistic elements within the series that may be antithetical to it. While the clearly printed text is similar to the glosses used in Zenga and by Li, these are not rendered by hand, introducing a tension between the gestural and the mechanised. The juxtaposition of dynamic calligraphy and a standardised printed text seems to introduce a hierarchical relationship between the authorial prescripts of monotheism and the more subjective and intangible precepts of Zen. This ambiguity offers a further example of how Schendel’s appropriation risked approaching the exoticisation characteristic of Brazilian intellectual responses to Zen during the 1950s and 1960s, and depended on the reception of Zen as a rational, ethical system, rather than a religion, within Schendel’s milieu.76 Despite her problematic invocation of an East-West binary, the title – Father of the West – suggests that she was striving for a culturally relative approach, attempting to expose the fact that religions aspiring to cosmological comprehensivity (in this case, Christianity) remain subject to cultural and geographical constraints. This is the closest Schendel, herself a European emigré, came to articulating the culturally heterogeneous post-colonialism of Andrade. Schendel’s creolisation thus reveals her humanistic reading of religion, and her wide-ranging curiosity towards the universality of spirituality and the variety of its cultural manifestations. The interventions of Suzuki and his colleagues destabilised any understanding of Zen as an internally coherent tradition, rendering it pluralised and international. Although Suzuki strove to raise the profile of Japan through his scholarly work on Zen, his concern to modernise and rationalise the religion inadvertently excised its cultural specificities. As Levine has observed, it is only on account of Suzuki’s efforts that Japanese Zen eclipsed Chinese Chan and Korean Seon in the international reception of Buddhism, asking ‘is Zen Art sui generis and inherent to the entire culture of Japan and “Japanese mind”, or is it a product of multifaceted exchanges and even competition within the visual arts?’77 In managing to contemplate the metaphysical by means of gestural techniques that drew upon an economic visual language, Schendel revealed that the concerns of post-war abstractionists shared affinities with Zen. Within the already synthetic context of Brazil, Zen, itself syncretic and transnational, became a vital part of the country’s creolised spiritual and intellectual culture. With this in mind, Brazil can be seen as exemplifying the globalisation of Zen.78 Schendel’s position as a transnational artist, and her conscientious receptivity to the cultural diversity of her adopted locale, indicates the importance of attending to the global in forging an understanding of post-war art, both in terms of exposing the frameworks that facilitate the transmission of ideas, and in charting the transmutation of ideas across time and space. As Zenga was already largely dependent on non-verbal signification, and was a well-established practice among lay artists, it was well suited to dissemination among modernists internationally, and had particular resonances with abstract and conceptual practices, resonances fully articulated by Schendel.79 As Larry Rother has observed, this kind of omnivorous assimilation is no longer specific to Brazil: it is now firmly established as a characteristic of globally-minded artistic production.80 If these syntheses of cultures are found to be unconvincing or problematic, it may be because, as Flavia Bastos has explained, they expose the limits of the national state as a framework for discussing culture: the diversity of Brazil can only be found to be distinctive if the monocultural nation is the conceptual starting point.81 The work of Mira Schendel indicates what kind of formal expressions might be pursued if national cultures were to become obsolete, and suggests what manner of new discursive frameworks will be demanded by a global art history. 1. Mira Schendel referring to her Little Nothings sculptures, quoted in Mira Schendel, exhibition leaflet, Fundação de Serralves, Porto 2014, http://www.serralves.pt/documentos/Roteiros/MiraSchendel_Eng.pdf, accessed 20 May 2015. 2. Sônia Salzstein, ‘Mira Schendel: The Immersion of the Body in Thought’, in Susan Martin and Alama Ruiz (eds. ), The Experimental Exercise of Freedom, exhibition catalogue, Museum of Contemporary Art, Los Angeles 1999, pp.203–33. 3. Theon Spanudis named Schendel alongside Fang Chen-Kong, Eleonore Koch, Alfredo Volpi and Arnaldo Ferrari. See Fernanda Pitta, ‘O mundo ordenado de Eleonore Koch: Questões da “visualidade pura” na pintura figurativa da Artista, a partir de suas obras na coleção Theon Spanudis (mac-usp)’, Encontro de História da Arte, 2007, p.534, http://www.unicamp.br/chaa/eha/atas/2007/PITTA,%20Fernanda.pdf, accessed 20 May 2015. 4. See Mario Schenberg in Mira Schendel, exhibition catalogue, Galeria Astréia, São Paulo 1964, unpaginated. 5. Jorge Guinle, ‘Mira Schendel, Painter: Empty Space Moves Me Deep’ (1981), reprinted in Tanya Barson and Taisa Palhares (eds. ), Mira Schendel, exhibition catalogue, Tate Modern, London 2013, p.204. 6. Cyril Barrett quoted in Geraldo de Souza Sias, Mira Schendel: Kunstzwischen Metaphysik und Leiblichkeit, Berlin 2000, p.174. 7. See Mária Elvira Iriarte, ‘Mira Schendel’, ArtNexus, no.8, 1993, p.45; and Denise Bukhofer, ‘Eva Hesse and Mira Schendel: Voiding the Body – Embodying the Void’, Women’s Art Journal, vol.31, no.2, Fall/Winter 2010, pp.3–11. 8. Mira Schendel, writing in 1965, cited in ‘Sensitive Geometries: Brazil 1950s–1980s’, Hauser and Wirth, New York 2013, http://www.hauserwirth.com/exhibitions/1927/sensitive-geometries-brazil-1950s-y-1980s/view/, accessed 20 May 2015. 9. Gregory Levine, ‘Two (or More) Truths: Reconsidering Zen Art in the West’, in Gregory Levine and Yukio Lippit (eds. ), Awakenings: Zen Figure Painting from Medieval Japan, New Haven and London 2007, p.56. 10. For example, Schendel described asymmetry as ‘one of the great lessons of the people of the East. I think it came from the East, this great asymmetry lesson’. Quoted in Fundação de Serralves 2014, accessed 20 May 2015. 11. Guy Brett, presentation given at the Mira Schendel conference, Tate Modern, London, 17 November 2012. 12. Cristina Rocha, Zen in Brazil: The Quest for Cosmopolitan Modernity, Honolulu 2006, p.13. 13. Gerardo Mosquera, ‘From Latin American Art to Art from Latin America’, ArtNexus, no.48, April–June 2003, http://artnexus.com/Notice_View.aspx?DocumentID=9624, accessed 20 May 2015. 14. Bélgica Rodríguez, ‘Latin American Art: Seeking Out a National-International Dialogue’, in Latin American Women Artists 1915–1995, exhibition catalogue, Milwaukee Art Museum, Milwaukee 1995, p.35. 15. Geraldo de Souza Dias, ‘Mira Schendel: An Introduction to the Work and to Her Exhibition in London, 1966’, presentation given at the Mira Schendel conference, Tate Modern, London, 16 November 2012. 16. Toshio Watanabe in conversation with the author, 19 June 2013. Also, Bert Winther-Tamaki, ‘The Benefits of Comparability: Modern Art in India, Japan and Mexico’, presentation given at the International Japanese Modern Art History Symposium (JAMAHS): New Boundaries in Modern Japanese Art History: Extending Geographical, Temporal and Generic Paradigms, School of Oriental and African Studies, London, 20 June 2013. 17. Ruth Fuller Sasaki quoted in Levine 2007, p.56. 18. See Dharmachāri Nagapriya, ‘Poisoned Pen Letters? D.T. Suzuki’s Communication of Zen in the West’, Western Buddhist Review, vol.5, 2008, http://www.westernbuddhistreview.com/vol5/suzuki-gentium.html, accessed 20 May 2015. 19. D.T. Suzuki, ‘Zen and the Love of Nature’ (1920), reprinted in Daisetz T. Suzuki, Zen and Japanese Culture, New Haven and London 1973, p.352. 20. Hayashi Michio in conversation with the author, 20 April 2013. 21. See Helmut Brinker, Zen in the Art of Painting, London and New York 1987, pp.27, 30. 22. Yasuichi Awakawa, Zen Painting, trans. by John Bester, New York 1977, p.39. 26. Akemi Nakamura, ‘Japan, Brazil Mark a Centenary of Settlement, Family Ties’, Japan Times, 15 January 2008, http://www.japantimes.co.jp/news/2008/01/15/news/japan-brazil-mark-a-century-of-settlement-family-ties/#.Uqg2BtJdVIE, accessed 20 May 2015. 27. See Daniela de Carvalho, Migrants and Identity in Japan and Brazil: The Nikkeijin, London 2003, pp.17–19, 28. 28. Félix Ángel, Nikkei Latin American Artists of the Twentieth Century, exhibition catalogue, Inter-American Development Bank Cultural Center, Okinawa 2005, p.6, http://idbdocs.iadb.org/wsdocs/getdocument.aspx?docnum=2066381, accessed 20 May 2015. 29. See Rocha 2006, p.3. 33. See Fundação de Serralves 2014, accessed 20 May 2015. 34. Guy Brett in conversation with the author, 8 November 2013. See also Sônia Salzstein, ‘Mira Schendel: Playing on the Surface of Language’, in Constructing a Poetic Universe, exhibition catalogue, Museum of Fine Arts, Houston 2007, pp.192–206. 35. The title of this exhibition was Japan und Brasilien – Graphische Kunst des Japaners Takesada Matsutani und der Brasilianerin Mira Schendel aus São Paulo. Takesada did install his works or attend the exhibition (Melissa MacRoberts in correspondence with the author, 26 November 2013). The Minoritengalerie has no extant catalogue or archival records of the show (Johannes Rauchenberger in correspondence with the author, 2December 2013). 36. See Isobel Whitelegg, ‘At the Crux of the Postwar: Collective Exhibitions at Signals London (1964–66)’, presentation given at the conference Postwar: Art Between the Pacific and the Atlantic, 1945–1965, Haus der Kunst, Munich, 24 May 2014. 37. Simon Kirby, ‘Li Yuan-Chia: How Far to Come Home?’, Leap, no.8, June 2011, http://leapleapleap.com/2011/06/li-yuan-chia-how-far-to-come-home/, accessed 20 May 2015. 38. Guy Brett, ‘Space-Life-Time’, Tell Me What is Not Yet Said, exhibition catalogue, Iniva, London 2000, pp.10–105, p.147. 39. Schenberg recorded that Schendel had photocopies of works by Chi Pai Shih (better known as Qi Baishi), an ink painter active in nineteenth- and twentieth-century China. See Fundação de Serralves 2014, accessed 20 May 2015. 41. Brett has also noted that the production of ‘visual texts’ was what Li and Schendel were both interested in. Ibid., p.43. 42. Particularly in his relief works, such as Untitled (Reliefs with Moveable Parts) 2001. See ibid., p.98. 44. Ana Candida de Avelar, ‘Chronology’, in Barson and Palhares 2013, p.236. 45. Schendel certainly used the I Ching to devise abstract compositions later in her career. See Tanya Barson, ‘Mira Schendel, Signals London and the Language of Movement’, in Barson and Palhares 2013, p.29. 46. Larry Rother, Brazil on the Rise: The Story of a Country Transformed, London 2010, p.125. 47. De Avelar, ‘Chronology’, in Barson and Palhares 2013, p.225. 48. Guy Brett quoted in Luis Pérez-Oramas, ‘León Ferrari and Mira Schendel: Tangled Alphabets’, in Mira Schendel: Tangled Alphabets, exhibition catalogue, Museum of Modern Art, New York 2009, p.27. 49. D.T. Suzuki, ‘Zen and the Love of Nature’ (1920), in Suzuki 1973, p.355. 50. Michael Asbury in conversation with the author, 8 November 2013. And, indeed, as Helmut Brinker has observed in his study of Zen painting, the unpainted ground is as important and spiritually evocative as the mark left by the brush. See Brinker 1987, p.27. 51. Schendel in correspondence with Brett, November 1965, quoted in Barson, ‘Mira Schendel, Signals London and the Language of Movement’, in Barson and Palhares 2013, pp.23–4. 52. Isobel Whitelegg, ‘Mira Schendel: Ontological Landscape’, presentation given at the Mira Schendel conference, Tate Modern, London, 16 November 2012. 53. See Rocha 2006, p.78. 58. De Souza Dias 2012. 59. D.T. Suzuki, ‘What is Zen?’, in Suzuki 1973, p.6. 60. Haroldo de Campos cited in Barson, ‘Mira Schendel, Signals London and the Language of Movement’, in Barson and Palhares 2013, p.19. 62. See Sanehide Kodama, Ezra Pound and Japan: Letters and Essays, Redding Ridge 1987. 64. Glenn D. Lowry cited in Mira Schendel: Tangled Alphabets, 2009, p.7. 67. Roland Barthes, Empire of Signs, trans. by Richard Howard, New York 1992, p.3. 69. See Nancy Ann Roth, ‘Mira Schendel’s Gesture: On Art in Vilém Flusser’s Thought’, Tate Papers, no.21, http://www.tate.org.uk/research/publications/tate-papers/mira-schendels-gesture-on-art-vilem-flussers-thought-mira-schendel, accessed 30 July 30 2014. 70. Flusser quoted in ibid. 71. D.T. Suzuki, ‘What is Zen?’, in Suzuki 1973, p.17. 72. Thomas Merton quoted in Levine 2007, p.59. 73. D.T. Suzuki, ‘Zen and the Love of Nature’ (1920), in Suzuki 1973, p.343. 75. See D.T. Suzuki, ‘Zen and Haiku’, in Suzuki 1973, p.227. 76. See Rocha 2006, p.72. 79. See Stephen Addiss, The Art of Zen: Painting and Calligraphy by Japanese Monks, 1600–1925, New York 1998, p.6. 81. Flavia M.C. Bastos, ‘”Tupy Or Not Tupy?” Examining Hybridity in Contemporary Brazilian Art’, Studies in Art Education, vol.47, no.2, Winter 2006, p.113. Majella Munro is an independent researcher based in Cambridge. Majella Munro, ‘Zen as a Transnational Current in Post-War Art: The Case of Mira Schendel’, in Tate Papers, no.23, Spring 2015, https://www.tate.org.uk/research/publications/tate-papers/23/zen-as-a-transnational-current-in-post-war-art-the-case-of-mira-schendel, accessed 25 April 2019.